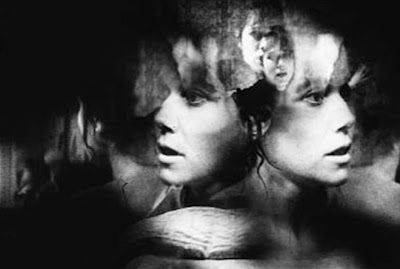 Dream Work (2003), directed by Peter Tscherkassky. First, a memory which has been seared into my brain: It’s 1973 and my cousin and I are alone in the house, obsessively playing and replaying the last minute of the Beatles’ “I Am the Walrus” backwards on a cheap plastic portable turntable. And I’m getting seriously creeped out.